From a month long tour of the USA and Canada shortly after the release of their 3rd album "The Sky's Gone Out". Pretty sure this is a soundboard recording - in any case, it was a good quality recording which responded really well to remastering - its superb now. 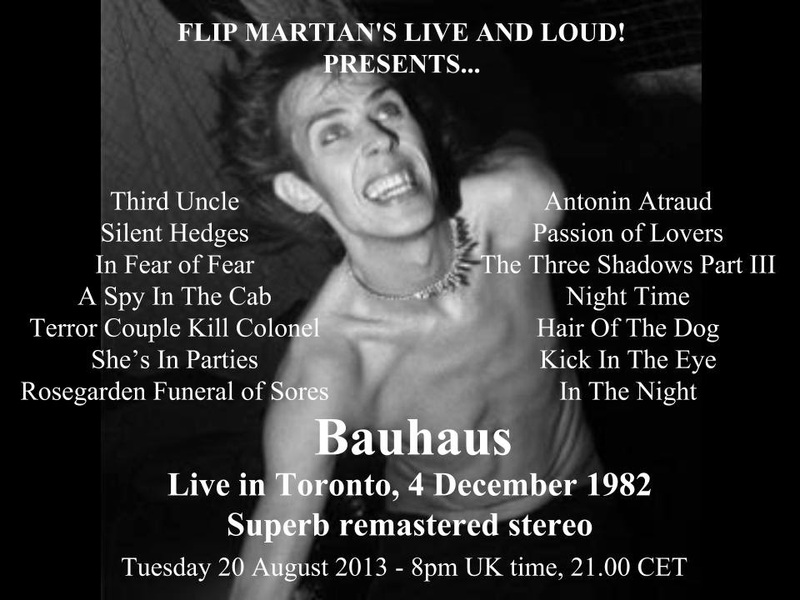 If you like Bauhaus, you may have heard this gig before - but not like this. Enjoy!